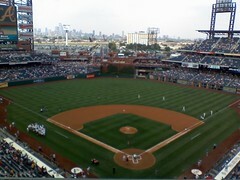 The Philadelphia skyline, as seen from Citizens Bank Park, during a day game. 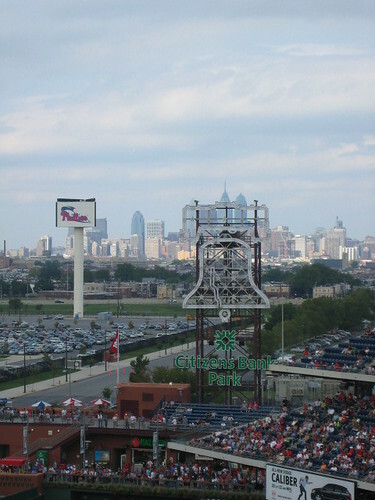 The Phillies Liberty Bell is superimposed on the skyline, producing a great effect. To get a better view, just click on the photo. 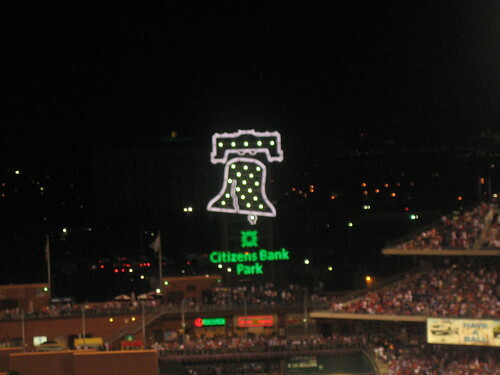 Note that the Liberty Bell at Citizens Bank Park is fully illuminated, swinging (and ringing). It does so, after every Phillies home run and Phillies victory. To see it more clearly, just click directly on it. 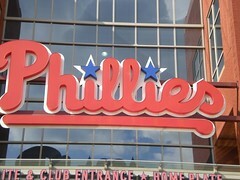 A closeup of the entrance to Citizens Bank Park. The Philadelphia skyline, with the Phillies’ Liberty Bell superimposed. 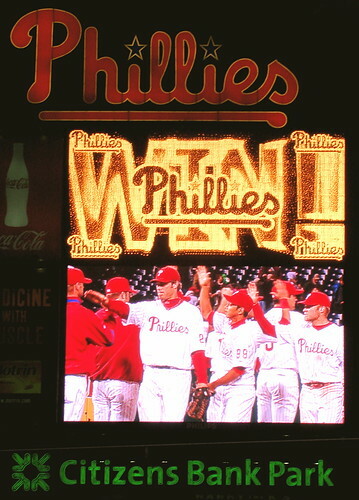 Yet another Phillies victory, while the Liberty Bell swings and rings. 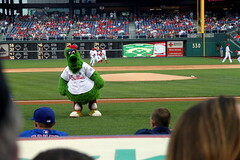 The Phillie Phanatic peering into the visiting team’s dugout, next to the third base line (that day, it was the Chicago Cubs). 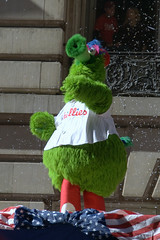 The Phanatic with his arms up, looking to the heavens, presumably for a Phillies victory. The Phanatic, clearly intrigued by something he sees, in the visitors’ dugout. 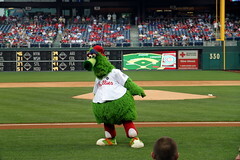 The Phanatic – in a rare honor for mascots - immortalized at the Baseball Hall of Fame in Cooperstown, New York. 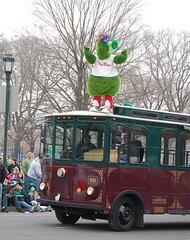 The Phanatic, celebrating the 2008 World Series victory, during the parade on Broad Street. Citizens Bank Park, as the Phillies warm up, prior to their game against the Atlanta Braves – and while there is still light out. Taken on the same evening, but night is falling upon another sellout crowd at Citizens Bank Park. A different day - this photo of the exterior of the ballpark, was almost certainly taken from the shoulder of I-95, the federal highway that meets I-76 at the Sports Complex.